Note: If you are ordering within the next 3 hours, 35 minutes , delivery is expected by Monday. The Austrian company Haslinger develops balanced and exceptionally well-acclaimed formulas from pure vegetable oil. The range is chracterised by the beneficial properties of honey, herbs, medicinal plants and essential oils, which help you to relax and feel good. 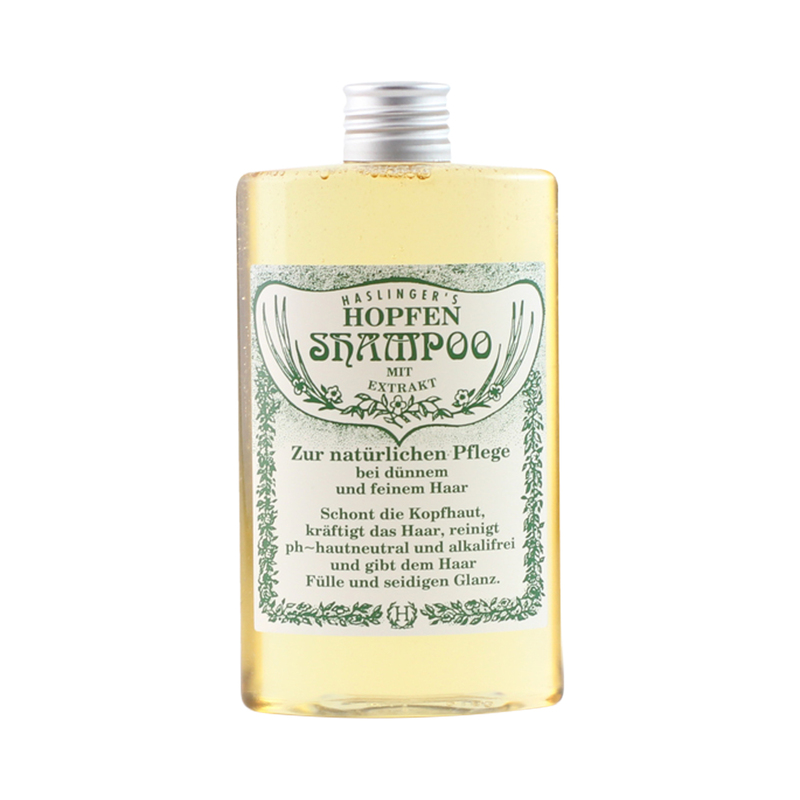 Hops are not just good for brewing beer: this natural herbal shampoo with extract of hops strengthens your hair, supports its growth and gives it a natural, healthy shine, strength and volume. The shampoo is therefore particularly well suited for thin and fine hair. Like all Haslinger brand products, it was produced without animal testing and is plant-based. Dispense a generous amount in your hand. Massage the shampoo onto your hair. Then rinse thoroughly. Beer, aqua, sodium laureth sulfate, sodium chloride, PEG-7 glyceryl cocoate, benzyl alcohol, caprylyl glycol, benzoic acid, piroctone olamine.